To meet your needs as you progress through your pipeline, we are extending our facility and the scope of services for therapeutic proteins and viral vaccines. Within the next years we are extending the capabilities of HALIX as end-to-end service provider, supporting you from early development all the way to commercial supply on a global scale. In order to optimally serve our customers, we are always investing in our GMP team and facilities. Currently, we are extending our capabilities for process development and assay development as well as extending our manufacturing capacity. 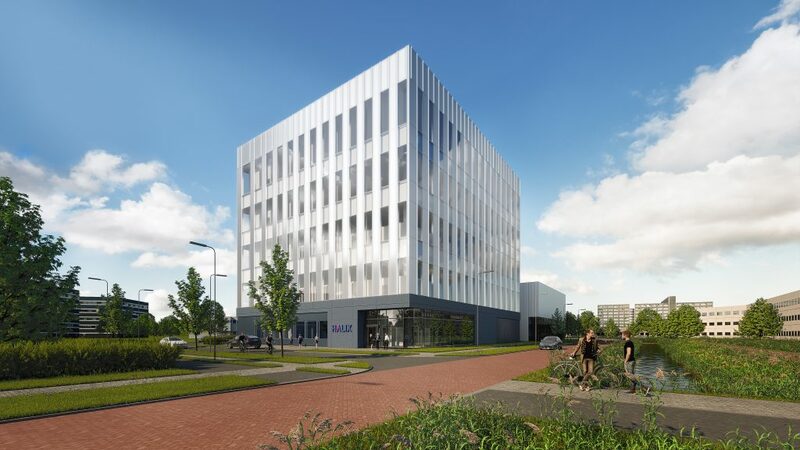 Construction has started on our HALIX dedicated state of the art 5.000 m2 facility located in the Leiden Bioscience Park, the Netherlands, one of Europe’s leading biotechnology clusters. This capacity will come online over the next two years. Uniquely, we have prepared our new facility capacity for GMP projects with containment class BSL2 and BSL3 to support you in all your needs. Up from our current 250L bioreactor offering, our new facility will be able to support fermentations up to 1000L scale and beyond. The GMP design gives highest priority to project segregation using the concepts uni-directional flow, single pass air, fumigation at change-over, interlock and security systems. We anticipated emerging capacity needs and opportunities for large scale manufacturing by reserving 1.400 m2 expansion area for your future long term program to be performed in BSL2 cleanroom area.